Is the Parisian Cabaret Exhausting Itself? The diversely talented and ever-shifting cast of Lido de Paris has been gracing the stages of the Champs Elysees for the past 70 years (first at 78 Avenue de Champs-Elysees, and now at 116 Avenue de Champs-Elysees). 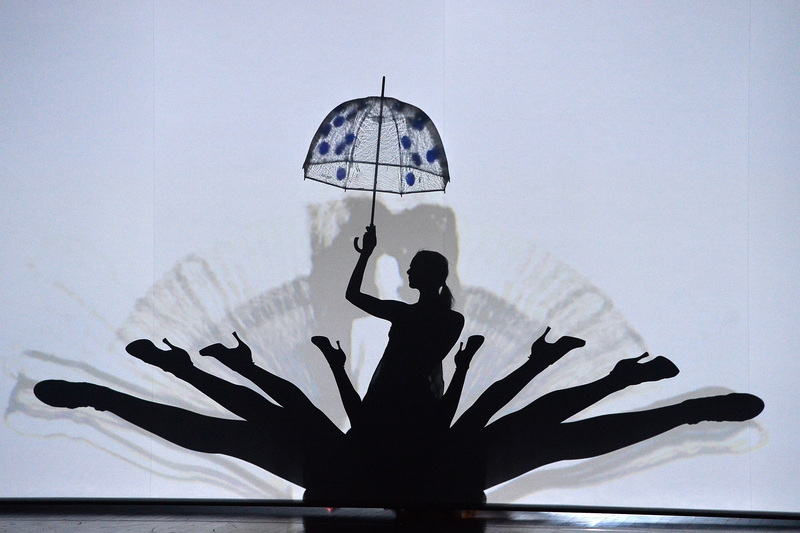 In 2019, the company has increased their cast to more than 50 performers, including 40 Bluebell Girls, 12 Lido Boys (noticeably fit male dancers who provide partnering or simply stage dressing), and a supporting ensemble of circus performers, singers, figure skaters, and, the male lead, former Martha Graham Dance Company's principal dancer, LaMichael Leonard. Lido's newest Paris Merveilles revue is the work of Belgian theater writer and director Franco Dragone, who is widely known for his work with Celine Dion and Cirque du Soleil. His Paris production welcomes its audience into the splendor of the Parisian mythos, with tributes to the city's architecture, romance and history. This newest installation opened in 2015, following the close of long-running Bonheur, which followed a bird of paradise through a four act search for happiness. The Lido Bluebell girls are, as according to the program, "the perfect incarnation of the Parisian woman, known the world over for her sensuality and sophistication." In this depiction of the "Parisian woman," the statuesque Bluebell Girls consistently appear in some state of undress. The real value of the show is in its production, its extravagance-- thanks to the work of the set and costume designers (both of whom, like Dragone, worked on Cirque du Soleil). Costume designer Nicolas Vaudelet, who has previously worked with Jean-Paul Gaultier on Madonna's Confessions tour, as well as Christian Dior, Givenchy, and Louis Vuitton, is responsible for the 600 costumes, 250 shoes, and 200 headpieces that cross the stage in a single performance. His pieces feature all the feathers, sequins and tulle one could hope for, as well as some decidedly charming touches. The same can be said of Jean Rabasse’s spectacular set design, which includes a working fountain, ingenious shadow play, and a crystal chandelier. Unfortunately, the weight of the show rests almost entirely on their shoulders, as Dragone’s concept (the Wonders of Paris) fails to lend itself to anything besides technical showboating. For all the glitz and shine of the production, it is, at its core, just another cliché. The show, in its intention, is perfectly representative of la Belle Époque, or beautiful age, of Paris. The phrase refers to fantasy, or romanticism, of a time when the women of Paris's lower echelons were susceptible to exploitation at every turn. Think of Degas's dancers: young women who came to the Paris Opera Ballet seeking prestige and an escape from destitution, and who were in turn sexually exploited by the ballet's wealthy patrons. The women of La Belle Époque have been largely lost to obscurity, preserved as a subject of nostalgia; it is not necessarily a time to miss. Lido, and indeed all Paris cabarets, capitalize liberally on the fantasy of the sexual freedoms of the Belle Époque, and the Bluebell Girls invited to showcase their talents (and their bodies) are representing a familiar cliché of not just the Parisian woman, but the Parisian cabaret girl. This is just the tip of the iceberg of the problem with Lido's Paris Merveilles. The romanticized Paris is a familiar Paris, and the revue fails to breathe any new life into the fatigued tropes. It has some dazzling numbers, certainly, and the production as a whole feels larger than life in the relatively cozy theater, but once the rush of the live performance wears off, there's very little left to dream about. All this said, however, if you haven't yet tired of the Parisian fantasy, a night at Lido is a lovely, but brief, distraction from day-to-day life. 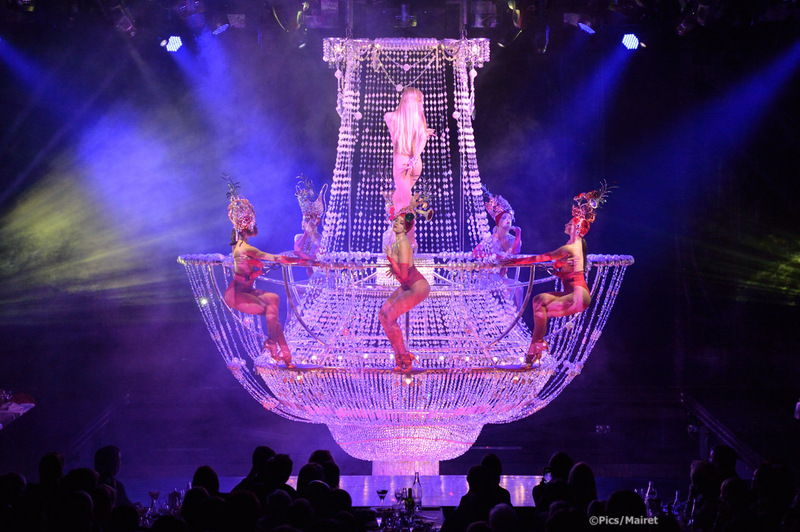 Until February 20, 2019 the company is offering a promotion of up to 20% off selected dates, which includes a dinner show complete with champagne! The venue itself is warm and intimate, with crisp white table clothes, plush red velvet seats, and, most importantly, an always unobstructed view. Jane Addington-May is a comparative literature and gender, sexuality, and society student with a passion for the theater, intersectional feminism, and expatriate culture.